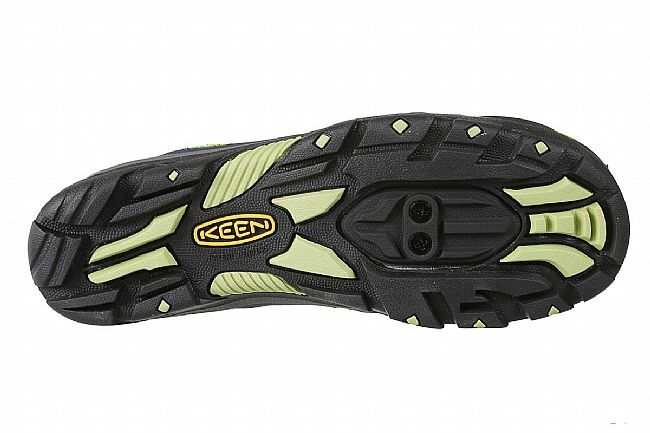 The Keen Women's Commuter 4 Cycling Sandal is a hard-working bike shoe that delivers dual functionality by doubling as a trail sandal. The non-marking rubber outsole provides the right grip on just about any surface, and highly breathable mesh uppers provide all day comfort. 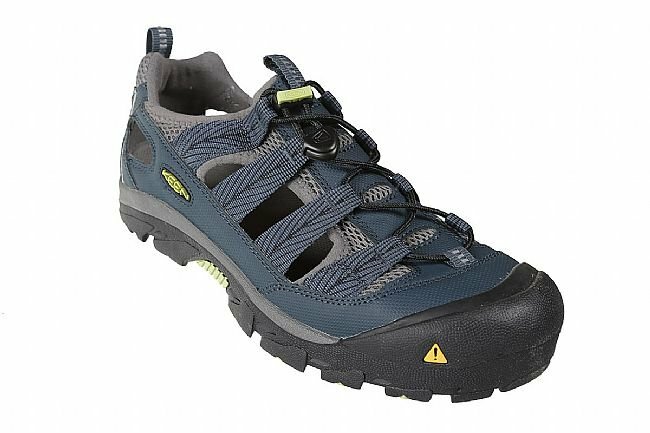 Unlike other sandals, they provide excellent toe-protection with Keen's patented reinforced toe box, and a bungee cinch system makes snugging down the fit a breeze. Features reflective accents on the tongue and heel pulls. Very disappointed. New design is just a flimsy bike shoe with holes - not a wonderful sandal like previous Keen Commuters. 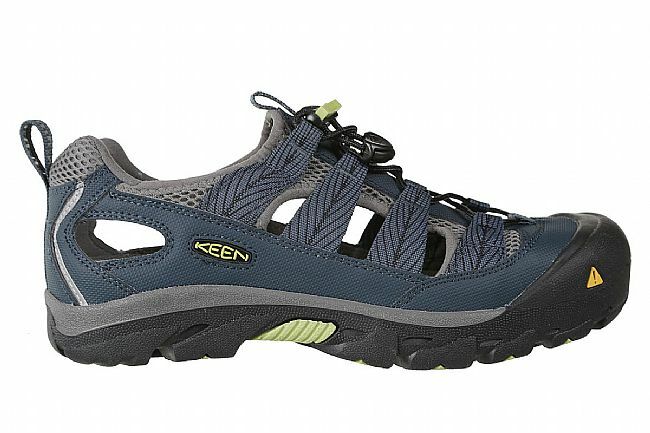 I am sooooo disappointed that Keen took a wonderful design and replaced it with this shoe. I have been trying to replace my old Keen cycling sandals for quite awhile, and finally decided to try this new design, despite the mixed reviews. The old design was fabulous - used for short rides and double centuries, hot, cold, or foul-weather, you name it. 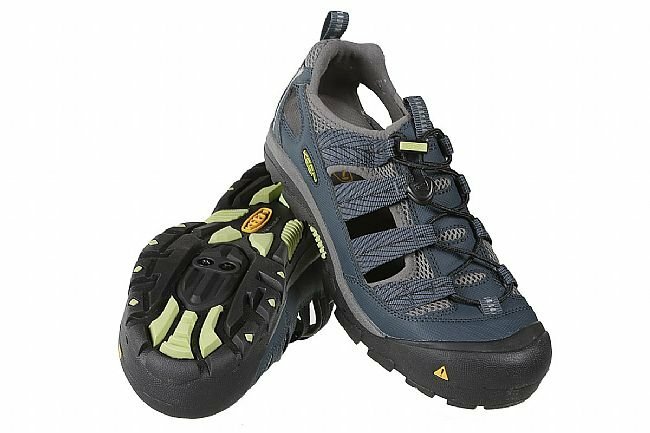 First problem this style is much tighter fitting so the size I wear, in three different styles of Keen shoes, was too small. No room for socks or even a bit of foot swelling on a hot day. Second The insole looks like it would act like a sponge in rain, and absorb foot funk much too readily. Third as another reviewer stated, this really is just a shoe with a few holes. All the great features that have kept me riding in sandals for years go away with this shoe, except the nice protected toe. I really loved my old shoes, which are so worn out the heals have holes in them. However, I will be returning these and getting different shoes. I can't justify the price for this version which does not meet my cycling sandal needs at all. Please KEEN - revert to the old design! Enjoying my new bike sandals. They definitely feel secure of my feet. I'm ready to put some mileage with them. Have had these for about a year and really like them. Provide some air flow, while also providing adequate support. Comfortable even on long rides. Look like my regular Keens. Good quality. Overall have been very happy with these.